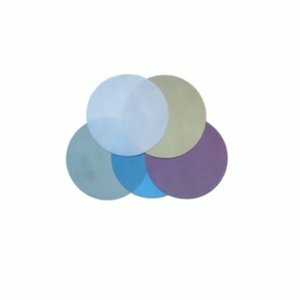 100 sheets/set polishing films for optical connectors and bare fiber processing. Grit: 30 µm. 100 sheets/set polishing films for optical connectors and bare fiber processing. Grit: 9 µm. 100 sheets/set polishing films for optical connectors and bare fiber processing. Grit: 1 µm.